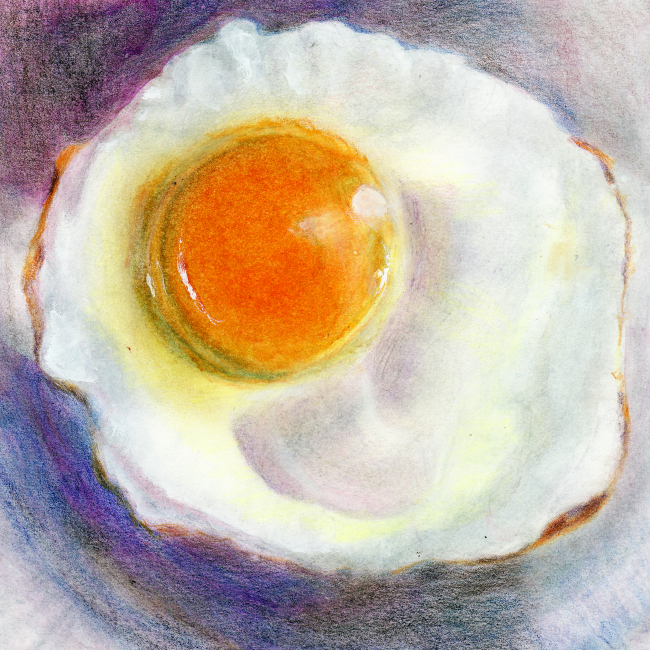 diana lynn's painting a day: Sunny Side Up. I had big hopes and dreams for this fried egg. It fell short on most of them except that it does look like an egg. Pencils can not be rushed: Note to self. I took the photo of this egg while it was in the frying pan... perhaps saying that will help. "Oh, for Pete's sake diana, it's just an egg," I say. Just an egg.